The Local Governing Body of Moorlands Church of England Primary Academy was re-constituted in April 2014, one term after the Academy had been the first school to convert under the Sponsorship of the Diocese of Norwich Education and Academies Trust (DNEAT) and has now been functioning as an Academy for over two years. The membership of the governing body is currently made up of two staff governors (including the Headteacher, one parent governor (vacancy to be filled in September2016) and seven trust governors. The trust governors are appointed by DNEAT and are people, who in the opinion of DNEAT, have the skills and commitment to contribute to the effective governance and success of the school. On the governing body there are now representatives from the local community, including a teacher from a local secondary school, a retired teacher, an experienced governor from another Trust and two from Further Education establishments. The Skills Audit identifies a need for a governor with an interest in the management of the finances and one with an interest in the Children’s Centre. The full Local Governing Body meets twice each term and there are committees to consider different aspects of the school. The Resources and Curriculum & Standards Committees meet regularly and others, such as Pupil Discipline and HR, meet as required. Governors regularly attend the meetings and throughout the year and the majority of meetings have been quorate thus allowing legal decisions to be made. The Governing Body has had a busy year. The Headteacher has focused on addressing the academy improvement plan and securing permanent, well- qualified staff in order to raise the quality of teaching and improve the pupils’ attainment. The governors have also worked closely with the Headteacher and DNEAT to secure the permanent staff. The visits from the School Improvement Adviser have provided evidence of the areas where progress is being made and has identified where further attention is required. The governors have received regular reports on the budget, premises, the Children’s Centre and the changes to the curriculum. There has also been careful monitoring of the additional money from the Pupil Premium Grant and the impact that this has had on the outcomes for pupils. There is evidence of the gap narrowing between the children in receipt of Pupil Premium funding and the rest of the school. Health and Safety checks are carried out regularly, accompanied by the Site Manager. Governors are vigilant about the safeguarding of all pupils and the nominated governor monitors any safeguarding matters and reports back to the local governing body. The budget plan for the next academic year was approved in the summer 2016 term. The plan allows for some re-organisation of classes to ensure the best provision for the pupils and appropriate use of funds. The governors have received and adopted a number of policies that have been developed by DNEAT. These are available on the website or via the school office. 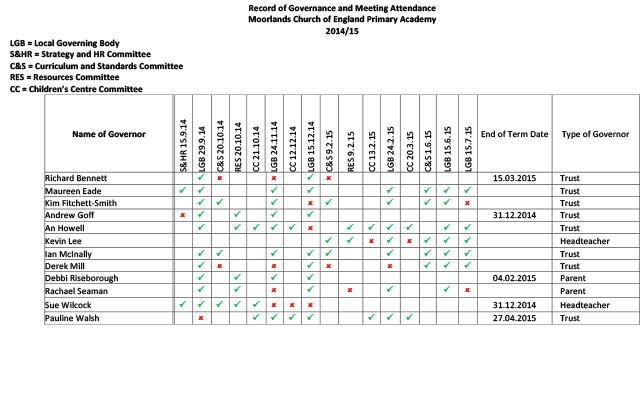 The minutes of the governors’ meetings are public documents and can be viewed via the school office. The inspection by OFSTED that was expected in the last academic year has not happened as yet and preparation for this will be one of our priorities for the Year 2016/17. The school continues to work closely with the Children’s Centre and this allows us to make much earlier links with parents and children. The nursery provision is now a more integral part of the school and the planned improvements in the Early Years’ classrooms and the outdoor area have resulted in a more attractive, stimulating provision for the children. The planned review of IT provision continues and will be of real benefit to the pupils and to the teachers. 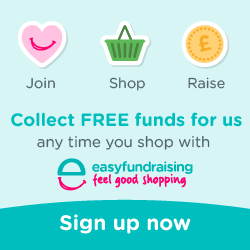 We welcome suggestions, feedback and ideas from parents. The Chair of Governors can be contacted via the school office and will meet with any parent when in the school. An appointment is necessary as visits are timed to suit the school timetable. 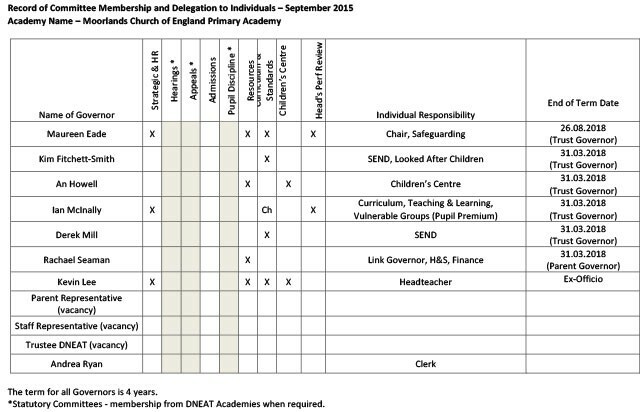 A list of trustees for the Diocese of Norwich Education and Academies Trust can be found at www.dneat.org/our-trustees.